I admit was slightly annoyed when I heard another Robin Hood movie was being released. There are only so many times the same story can be told on the big screen, even if a hot British actor is cast in the role, and my expectations of this movie were at an all-time low. Given that, I was pleasantly surprised how immersed I became in the story. It’s a flawed movie, but the action was enough to keep me interested. 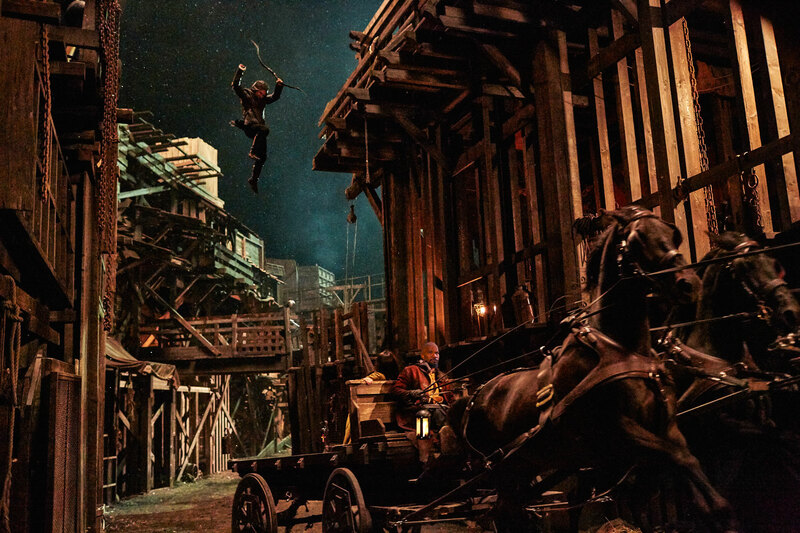 In this version, Taron Egerton plays the thief who steals from the rich to give to the poor. 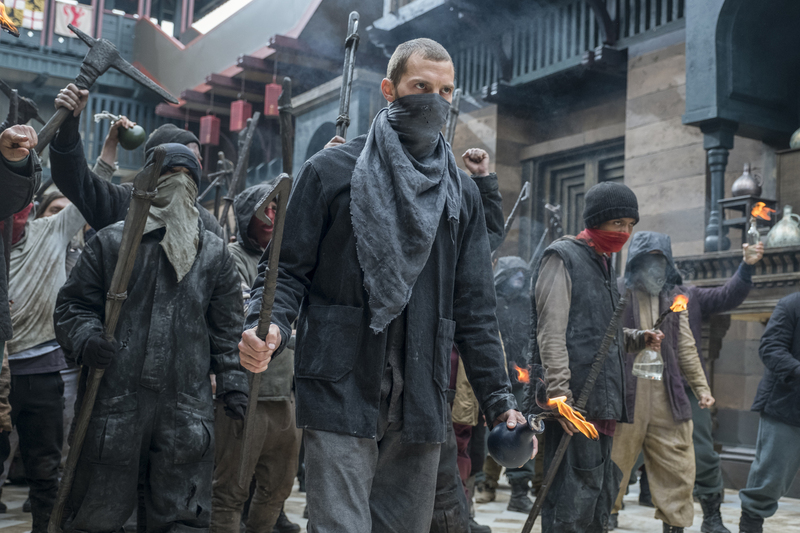 Like in the original story, Robin is drafted to fight in the Crusades, where he’s supposedly killed; he comes back from war to find his lover, Marian (Eve Hewson), has married Will Tillman (Jamie Dornan), who’s attempting to rally citizens together to fight back against the regime created by the Sheriff of Nottingham (Ben Mendelsohn). With Robin Hood is Yahya (Jamie Foxx), a former prisoner of war fueled by revenge for his son killed by Robin’s soldiers. Eventually, Robin and Will lead an all-out revolt against Nottingham. The film has an impressive roster of actors. 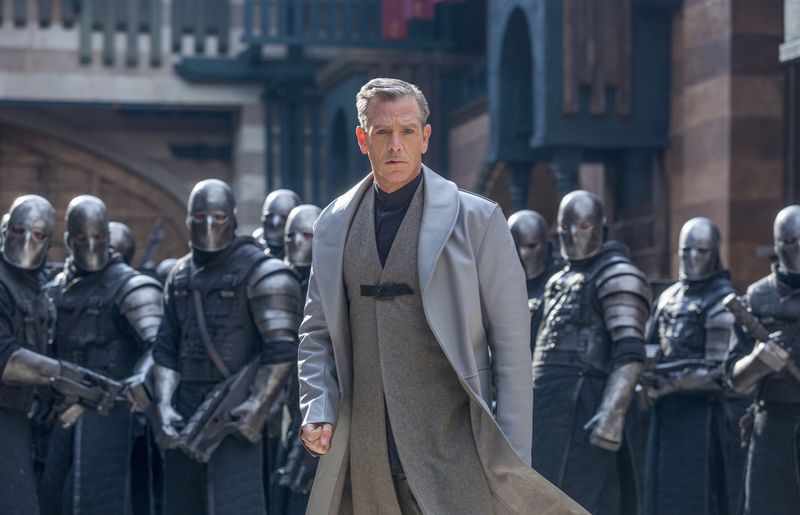 Mendelsohn was perfectly cast as Nottingham; I have personally been a fan of his ever since his role in Rogue One, and the sheriff does have similarities to Orson Krennic. 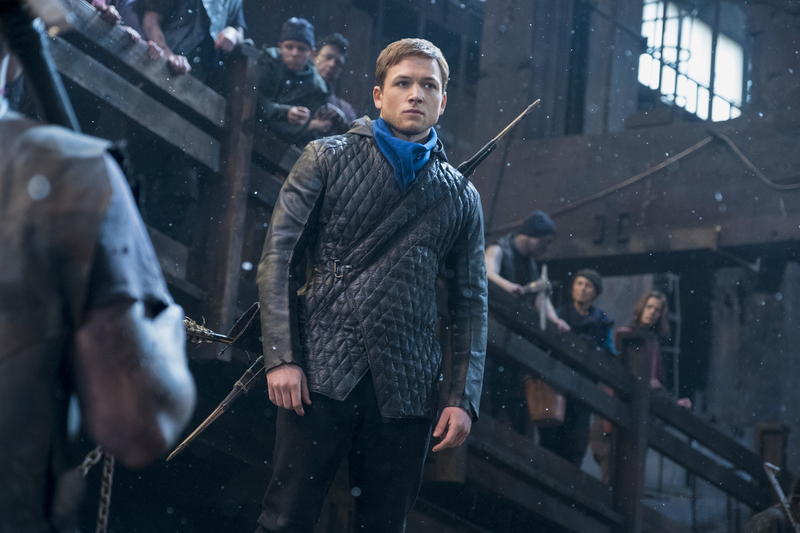 Egerton’s portrayal of Robin Hood is also spot-on as a suave bowman toying with Nottingham’s finances. The cast, however, couldn’t save this movie. Hewson tries to add depth to Marian, but unfortunately she still mainly serves as the eye candy to further Robin Hood’s crusade. And the original tale takes place in the 15th century, but the setting is unclear in this movie. A few of the characters aren’t dressed in medieval attire—Robin is wearing a leather jacket with a blue hood near his face and reminds me more of an ’80s grunge or rock ’n’ roll version of Green Arrow than Robin Hood. Maybe that’s just me being too detail oriented, but if a movie is going to be based off this old tale, it shouldn’t be not too much to ask for it to be historically consistent. Besides the wardrobe, during the final battle sequence, Molotov cocktails were being chucked at Nottingham, which just adds to the confusion over the time period in which the movie take place. I’m still unsure. That said, despite its ridiculousness, that final battle did keep my interest. Action films are my favorite genre to watch because no matter how awful the plot or design is, watching the choreographed stunts and hand-to-hand combat is entertaining. Robin Hood is honestly a mess, but I still thought it was fun to watch. It’s a great matinee guilty-pleasure action movie—but it certainly doesn’t feel like Robin Hood.